Saturday night, I had the great pleasure of catching The Eagles concert at a jam-packed Madison Square Garden. If I ever had any doubt, they were removed five minutes after the start of the show. Don Henley has one of the greatest rock voices of all time. And Glen Frey was in super form. But what I had forgotten most was just how great guitarist and vocalist Joe Walsh is. More than ever he gives the band rock and roll soul. Hotel California, Desperado, Take it Easy, Heartache Tonight, Already Gone—these are some of the greatest songs ever recorded. 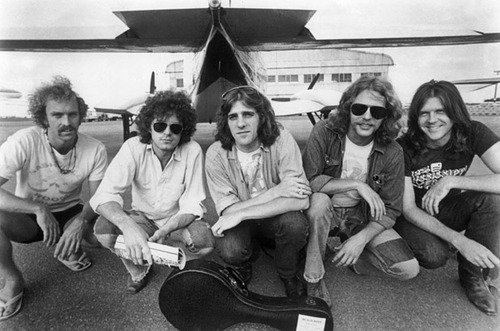 And if you ever needed to understand their place in rock and roll history fathom this—their album, The Eagles Greatest Hits, 1971-1975 is the third best selling album of all time. Only exceeded by Pink Floyd’s, The Dark Side of the Moon, and #1, Michael Jackson’s Thriller. I rest my case.